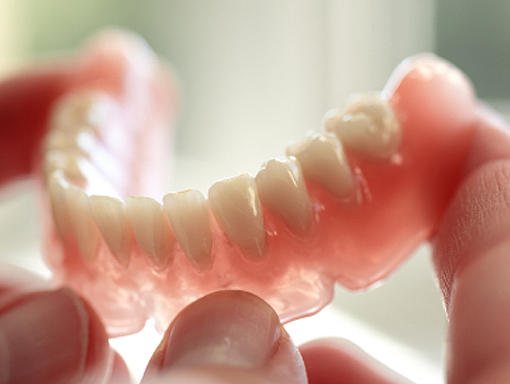 Dentures / false teeth are a removable solution to missing teeth. They can be partial dentures, if you have some of your own teeth or complete dentures if you have none of your own teeth. Partial dentures can be made solely of acrylic (plastic) or a combination of acrylic (plastic) and cobalt chrome (metal), the choice of material depends on the design required and personal preference.